A.F. 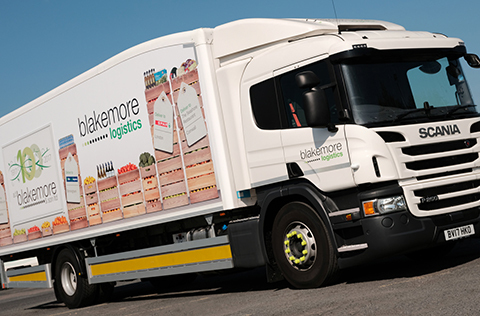 Blakemore has picked up two titles at the 2019 Convenience Retail Awards. 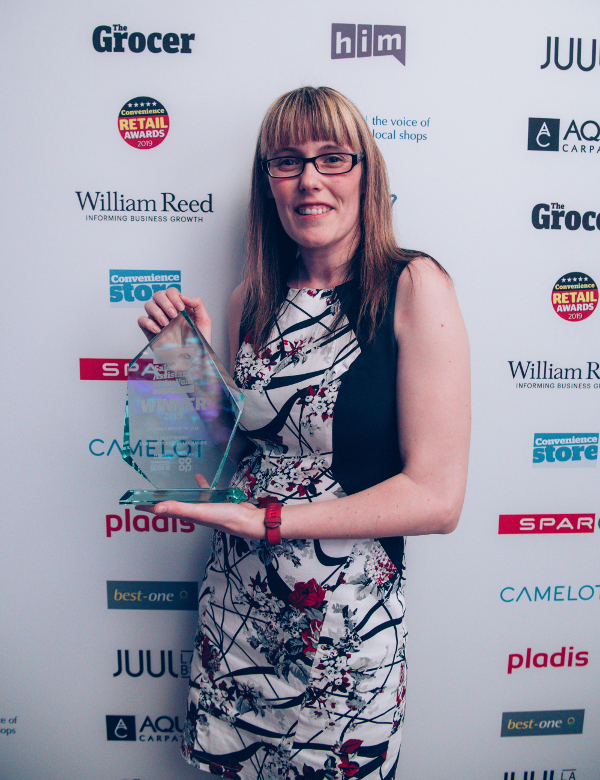 Eat 17 SPAR Hammersmith scooped Best New Store while Blakemore Retail’s Lyndsay Howden-Smith walked away with the Community Hero award. 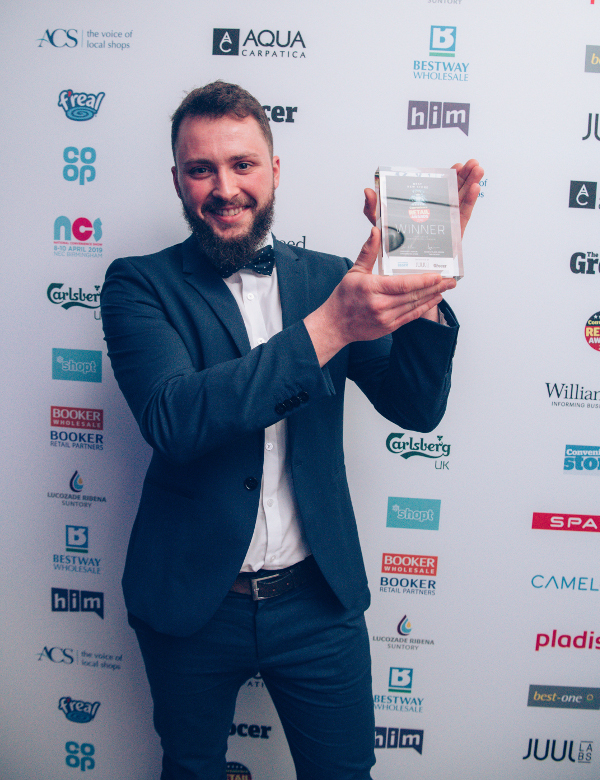 The event showcases the hard work and achievements of the very best retailers in the convenience sector, with awards to celebrate all-round achievement as well as excellence in particular disciplines of retailing. 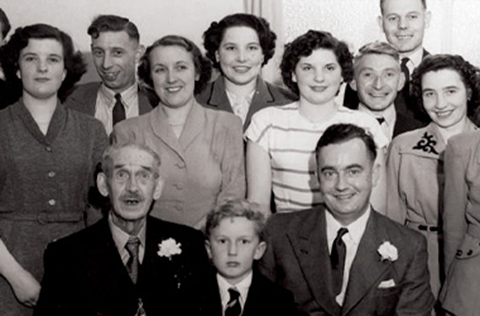 The winners were announced at a lavish awards ceremony and dinner at the Royal Lancaster Hotel in London on March 14th. Eat 17’s SPAR Hammersmith in London was crowned Best New Store. 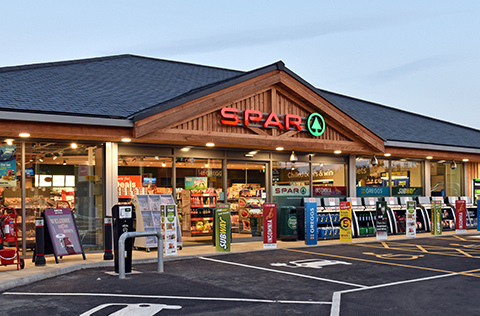 Launched in August 2018, the 4,000 sq ft store combines impressive design with an exciting range of products and on-trend innovation. Inside the spotlight-lit converted office building, street food concessions offering pizzas, burgers and Asian food sit alongside artisan coffee, locally-sourced delicacies and SPAR lines. Ready meals and prepared salads and sandwiches are assembled in the kitchen at the group’s Hackney store and sold under the Eat 17 brand. Refillable and packaging-free products are also a huge focus. Around 150 lines are available in a refillable format, with products including pulses, cereals, rice, olive oil, coffee beans and confectionery. Wines and local beers can also be purchased in refillable bottles and growlers. Eat 17, which is co-owned by A.F. Blakemore and entrepreneurial retailers James Brundle and Chris O’Connor, operates four stores in London and Hertfordshire: Walthamstow, Hackney, Bishop’s Stortford and Hammersmith. James commented: “Our ambition is to offer our customers the finest quality food and drink – bringing the best from local concessions together with our own-brand ranges. “We aim to provide an eco-friendly shopping experience and our refillable food lines are very popular with customers who wish to cut down on their plastic use. At the event, the award was collected by Hammersmith Store Manager Gaetan Payot. In March, Eat 17’s Hammersmith store also secured the Shop of the Year Innovation award from The Guild of Fine Food. Judges said that the store “felt young, exciting and vibrant” and “represents the future”. Meanwhile at the Convenience Retail Awards, Eat 17’s Hackney store was also shortlisted for Best Independent Store, Off Licence Store of the Year and the Innovation award. Blakemore Retail Store Supervisor Lyndsay Howden-Smith from SPAR Bradley in Grimsby was awarded the sought-after title of Community Hero for her contribution to the local community. The Sales Assistant of the Year awards reward sales assistants who go above and beyond for their stores, customers and communities. Lyndsay works as a night-shift supervisor at the SPAR Bradley store, where she helps manage the store, Subway and post office. She also works as a full-time intelligence analyst for the fire service and amazingly still finds time to dedicate to planning and leading community events at the store. In 2018 alone, Lyndsay worked with over 100 local organisations supplying items for raffles, arranging donations and giving her time to help feed Grimsby’s homeless community. Speaking after winning the award, Lyndsay commented: “I don’t do any of this for the recognition, I do it because I genuinely love to help people and I’m in a role where I have the luxury of being able to do that. Bradley Store Manager Stephanie added: “We are all really proud of Lyndsay’s achievement and all she has done for the store and local community – she really deserves the award. “She continues to help the community through the support of the Blakemore Foundation and doesn’t just arrange the donations but also finds the time to attend the events as well.